Results from a pair of clinical trials evaluating the CAR-T therapy Kymriah™ (also known as CTL019) have demonstrated long-lasting remissions in non-Hodgkin’s lymphoma patients. The findings were presented recently at the 59th American Society of Hematology Annual Meeting and Exposition (December 9–12, 2017, GA, USA) and published in the New England Journal of Medicine. 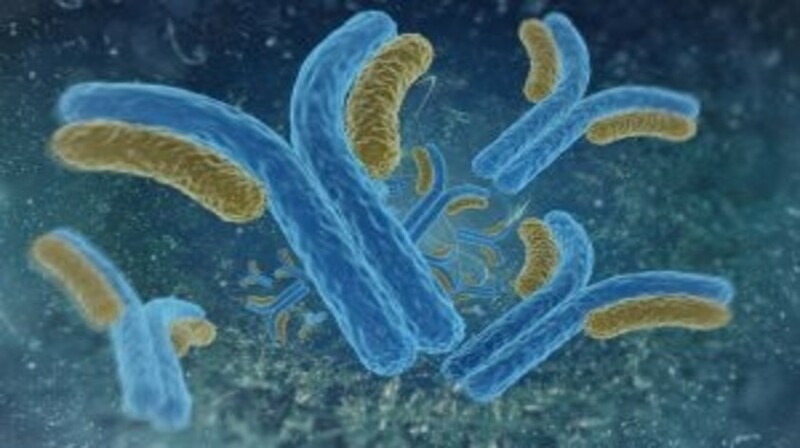 In this global, multi-center trial, termed JULIET, 38%of patients with relapsed/refractory diffuse large B-cell lymphoma (DLBCL) who received the investigational treatment had a partial or complete response at 3 months. Approximately 73% of patients who responded remained cancer-free at 6 months. In total, 81 patients were infused with CAR-T cells and evaluated for a response. At 3 months, 32% of patients achieved a complete response, while 6% achieved a partial response. The research team says the updated results from an earlier study, of patients treated at Penn’s Abramson Cancer Center (PA, USA), provides additional evidence that the responses to the new therapy can be highly durable. In the earlier study, among the 28 patients who received the therapy in the single-site pilot trial after their cancers had come back following standard treatments, 43% of DLBCL patients achieved complete remission in addition to 71% of patients with follicular lymphoma. All patients who were in remission at 6 months are still in remission, after a median follow-up of 28.6 months. “About a third of patients who fail all current therapies, even transplant, could now have a form of therapy that may offer them durable remissions. This therapy has the potential to save lives if approved by the FDA for this indication,” commented study lead Stephen J. Schuster from the Abramson Cancer Center and the Perelman School of Medicine at the University of Pennsylvania on the significance of the findings. Kymriah™ was recently approved for the treatment of patients up to 25 years of age with acute lymphoblastic leukemia that is refractory or in second or later relapse, by the FDA. Results from the JULIET trial, described above, have now formed the basis of the recent application to the FDA for approval of CTL019 for the treatment of adult patients with relapsed or refractory DLBCL who are ineligible for or relapse after autologous stem cell transplant. Novartis is seeking approval from the EMA for CTL019 in pediatric and young adult patients with relapsed or refractory B-cell acute lymphoblastic leukemia and adult patients with relapsed or refractory DLBCL who are ineligible for autologous stem cell transplantation.